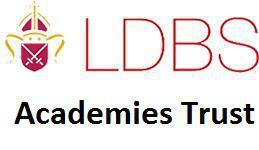 The LDBS Academies Trust (LAT) was formed in 2012 as an academy sponsor, and now contains seven schools in the boroughs of Haringey, Barnet, Islington and Brent. A second LDBS Academies Trust, LAT2, has been formed at the end of 2016; LAT2 will include schools in the West part of London. On 1st April 2017 Stanwell Fields CE Primary School has joined the LAT2. More schools are expected to join the two Trusts later this year.